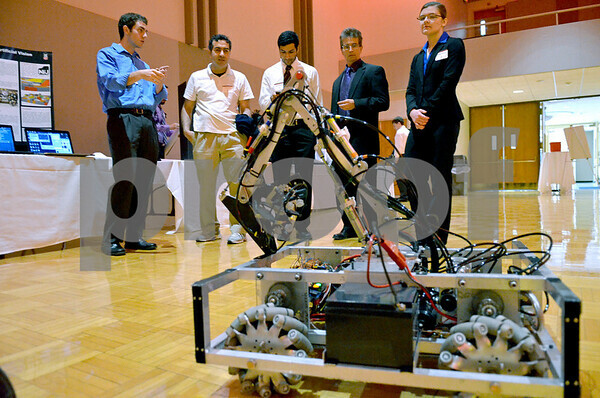 Student engineers present Northern Artificial Intelligence or N.A.I., an autononous ground robot with artificial vision, at the Northern Illinois University's research and artistry day on Tuesday, April 22, 2014. N.A.I. was built to see and pick up objects, specifically practice cones.